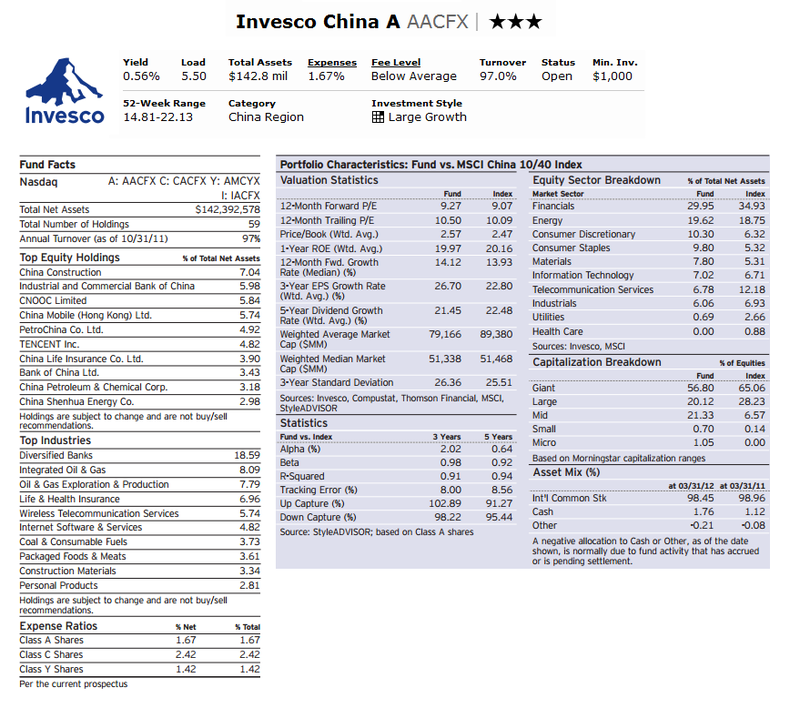 The 6 best china region stock mutual funds 2012 are Matthews China Fund, Templeton China World A, etc. This is part of international stock fund. 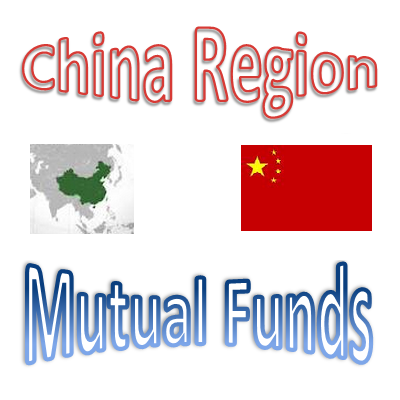 The China region mutual fund is part of international stock mutual fund. This China region stock fund invests primarily in stocks from China, Taiwan, and Hong Kong. This China region fund is one of the world fastest-growing regions for the past decade. These top China region mutual funds are selected based on its expense ratio fee, turnover rate, management, fund performance, etc. You can find the fund review and fund performance or return below. The Matthews China fund objective is to provide long-term capital appreciation. It uses its assets to purchase the common and preferred stocks of China and Taiwan companies with growth. This fund has total net assets of $2.38 billion. Its dividend yield is 1.09%. This fund has 4-stars rating from Morningstar. The fund has low annual holdings turnover of 8.43%. The annual expense ratio is 1.13%. The fund’s YTD return is 10.18%. It also has 5-year annualized return of 8.30%. Based on the load adjusted returns, the fund has returned 15.32% over the past 10-year. The Institutional Class of this fund (MICFX) has annual expense ratio of 0.97%. The current shares price is $21.76. 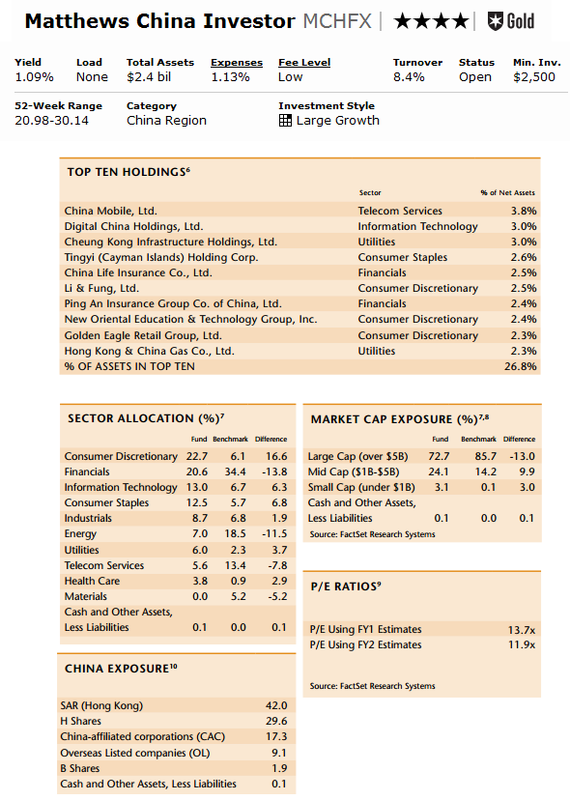 The top 5 stock holdings as of first quarter of 2012 are China Mobile Ltd (3.8%), Digital China Holdings Ltd (3.0%), Cheung Kong Infrastructure Holdings Ltd (3.0%), Tingyi (Cayman Islands) Holdings Corp (2.6%) and China Life Insurance Co Ltd (2.5%). The Templeton China World fund invests majority of assets in securities of China companies. It may invest in American, Global and European Depositary Receipts. It may use small of net assets in stocks that involve in the economy of China, Hong Kong or Taiwan. Its expense ratio rate is 1.92% per year. As part of Franklin Templeton funds, the total net assets are $1.13 billion. This best China region mutual fund is ranked with 5-stars rating by Morningstar. Its annual holdings turnover is only 5.55% (as of May 22, 2012). The 5-year annualized return is 7.81%. The fund has returned 14.97% over the past 3-year, and 15.86% over the past 10-year. The top 2 industry breakdown is Energy (27.03%) and Food & Staples Retailing (12.28%). The top 5 stocks are Dairy Farm International Holdings Ltd (8.93%), CNOOC Ltd (7.28%), China Petroleum & Chemical Corp (Sinopec) (6.75%), PetroChina Company Ltd (5.48%) and Taiwan Semiconductor Manufacturing Company Ltd (4.33%). 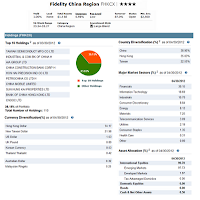 The investment aim of Fidelity China Region fund is to seek long-term capital growth. It utilizes its assets to buy securities of Hong Kong, Taiwanese, and China. Morningstar rates this stock mutual fund with 1.00%. The fund has a dividend yield of 1%. The annual expense ratio is 0.98%. The fund was first introduced to public in November 1995. It has total net assets of $1.46 billion. Based on the load adjusted return, this FHKCX fund has returned 10.73% over the past 10-year, 6.77% over the past 5-year and 15.34% over the past 3-year. The current fund’s NAV is $27.57 per share. As of April 2012, the major market sectors are Financials (39.15%), Information Technology (18.69%) and Industrials (10.70%). The top 5 stocks include Taiwan Semiconductor Manufacturing Co Ltd, Industrial & Commercial Bank of China, AIA Group Ltd, China Construction Bank Corp and Hon Hai Precision Industry Co Ltd. The Aberdeen China Opportunities fund is providing long term capital appreciation through investment in stocks of China and Hong Kong companies. It invests in common stock, preferred stock, convertible, foreign investment funds or trusts, and depository receipts. The fund is currently managed by Hugh Young. It has 4-stars rating from Morningstar. The fund has small amount of total assets ($41.82 million). There is 0.25% management fee and 5.75% of front-end sales load fee for investing in this fund. This Chinese stock mutual fund has a 5-year average return of 6.51%. The year-to-date return is 14.11%. The fund has its best total return in 2007 with 74.02%. The top ten holdings as of first quarter of 2012 are Jardine Strategic Holdings (7.5%), China Mobile (4.7%), Standard Chartered (4.5%), ASM Pacific Technology (4.4%), Li & Fund (4.4%), PetroChina (4.2%), AIA Group (3.8%), HSBC Holdings Ord (3.7%), CNOOC (3.6%) and MTR (3.6%). 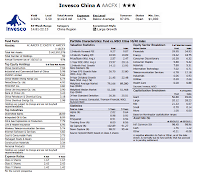 The Invesco China fund invests mainly in companies of People’s Republic of China, Hong Kong and Macau. The fund manager is Samatha Ho since March 2006. The current distribution yield is 0.56%. The total net assets of this Invesco fund in $142.8 million. The annual expense ratio is 1.67%. This best china region stock mutual fund has YTD return of 11.49%. It has its best return in 2009 with 81.94%. The 5-year average return of this AACFX fund is 4.99%. You can buy other classes of this mutual fund such as Class C (CACFX), Class Y (AMCYX) and Class I (IACFX). The top equity holdings are China Constructions (7.04%), Industrial and Commercial Bank of China (5.98%), CNOOC Limited (5.84%), China Mobile (Hong Kong) Ltd (5.74%) and Petro China Co Ltd (4.92%). The investment objective of Guinness Atkinson China & Hong Kong fund is to provide long-term capital growth. The fund invests > 80% of its assets in equity securities of China or Hong Kong companies. It typically invests in the Hang Seng Composite Index. It may also invest in companies in emerging markets. 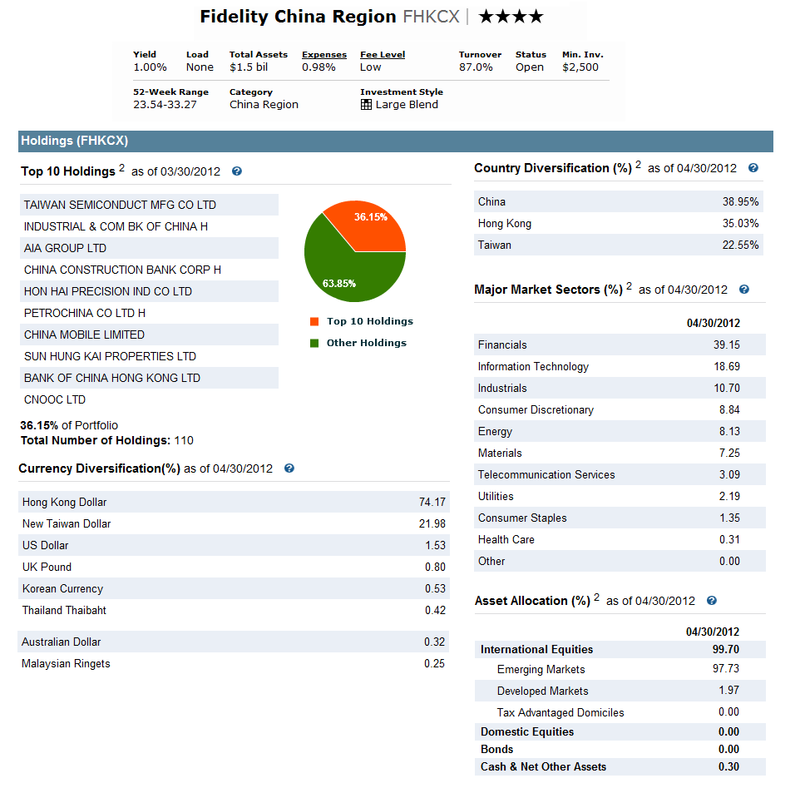 Morningstar has rated this best China region stock mutual fund with 3-stars rating. It has 0.63% of 12-month dividend yield. The distribution in December 2011 was $0.20. It has portfolio turnover of 7.81% as of May 22, 2012. The minimum initial investment needed is $5,000. Based on the load adjusted returns, this fund has returned 17.85% over the past 3-year, 4.96% over the past 5-year and 11.92% over the past 10-year. The top 10 holdings as of first quarter of 2012 are Weichai Power Co Ltd – H shares (5.32%), Soho China Ltd (5.01%), CNOOC Ltd (4.85%), PetroChina Co Ltd – H Shares (4.61%) and Dongfeng Motor Group Co Ltd – H Shares (4.44%).